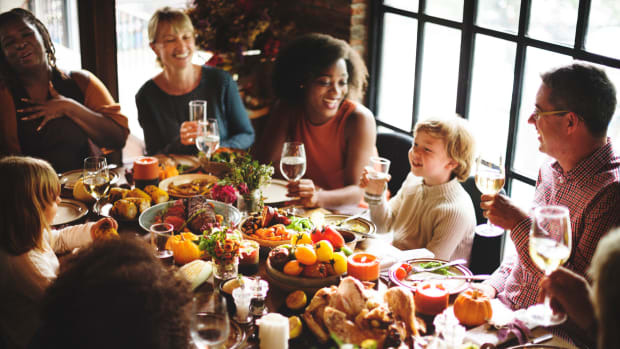 You’ve moved far beyond the Butterball of Thanksgivings past, but are you a true expert in picking a consciously raised, sustainable turkey yet? If not, our experts are here to help you pick the bird for your Thanksgiving feast. What Labels Should I Look For? There are a few labels you can keep an eye out for if you’re in the market for a consciously raised, sustainable turkey. Ann Stone of Elmwood Stock Farm recommends the USDA organic label, noting that it is “the only nationally recognized, third-party certification that guarantees farmers are producing food using the environmental and humane principles they claim to be using.” If consciously raised turkey is what you&apos;re looking for, the organic label is a great guarantee. Hans Eisenbeis of Organic Prairie agrees. "The organic standards require that the birds have access to the outdoors and that they have adequate scratching space, nesting areas, and so on," he says. "The whole idea is that in the organic system, any livestock is allowed to express its natural behaviors to the maximum – and all of these standards are intended to minimize stress to the birds so that they can be healthy and happy." For Heidi Diestel of Diestel Family Turkey Ranch, “The most important turkey attributes to look for when choosing a turkey are antibiotic free and vegetarian fed.” Both of these labels ensure that your turkey was raised in a healthy and safe environment. You might also look into the ranch&apos;s Global Animal Partnership rating. This non-profit is dedicated to improving farm animal welfare through its five-step rating program. Thanks to its slow, natural raising of sustainable turkey, Diestel Family Turkey Ranch has achieved the highest GAP 5+ rating on its Pasture Raised Holiday Turkey. Mary Pitman of Mary’s Turkeys also notes that while it’s important to look for labels like non-GMO verified, no antibiotics (ever), gluten-free, no preservatives, and free-range, there is one important yet possibly unfamiliar label that you could look for if you’re concerned about finding a truly sustainable turkey: air chilled. “We are able to air chill our heritage turkey, which saves thousands of gallons of water,” she notes. This label shows that the farm you have selected doesn&apos;t just care about its turkeys; it also cares about the environment. Most of our farmers, however, ask consumers to look beyond labels when buying a sustainable turkey. 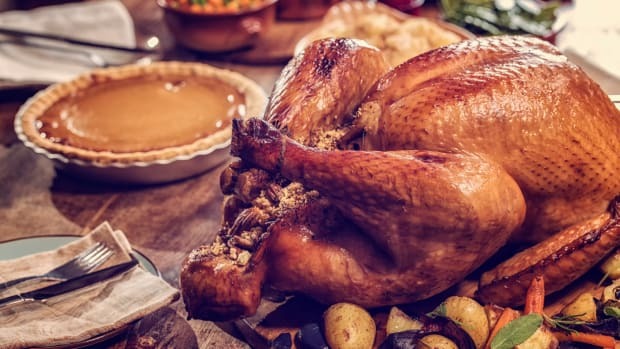 Ken Norton of Norton Farms notes that dealing directly with farmers also allows you to cut out the middle man and thus, often, reduce the price of the turkey considerably. “This way they can ask questions to the farmer, and if they don’t like the answers, they can go elsewhere,” he adds. 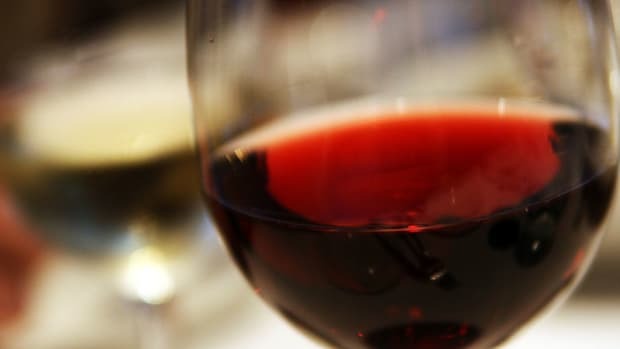 So, what questions should you ask? The short answer is -- ask whatever questions you like? Farmers who are passionate about what they do will be happy to answer. But to help you out, here are a few questions that can get you moving in the right direction. Are the birds allowed access to the outdoors? Much like chickens, turkeys face the huge problem of being cooped up in very tight quarters, and this is far from the ideal: for the turkeys&apos; health and well-being as well as for the quality of the meat you purchase. Farmers who raise their birds outside and allow them to roam raise happier, healthier birds. Diestel notes that on her ranch, birds are raised almost twice as long and given three times as much space as conventional birds; other small farmers make similar choices for the well-being of their animals. What kind of diet are they fed? Asking questions about diet is an integral part of ensuring that your turkey is sustainably raised. 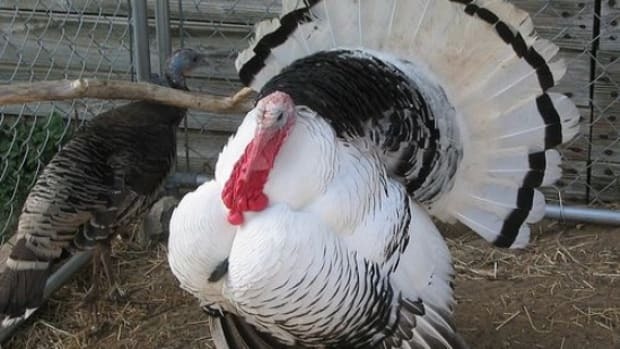 A sustainable turkey will be allowed to scratch and peck to feed on bugs and insects on the ground, as her natural instincts dictate, as opposed to being fed a standard feed. “Big barns feed one balanced feed to the birds their entire life,” says Norton. “When turkeys are raised on a small scale and allowed to go outside, they are going to eat grass, bugs, (and) worms." This, he notes, changes the fat content and flavor of the birds. Whatever food the birds are finding on their own will usually be supplemented by the farmer, and you can ask about this feed, which should be organic or GMO-free and, above all, should be free of animal byproducts. Diestel is one of the last turkey producers in the Western U.S. to mill its own feed, ensuring that the farmers know exactly what is going into the turkeys&apos; diets. Are the birds rotated to different paddocks so that the land can rest? An important part of making sure that your turkey is not just consciously raised but also sustainably raised is ensuring that the farmer moves the flock as necessary to allow the land to rest. This will allow the soil to absorb the nitrogen from the manure, McAuley explains. 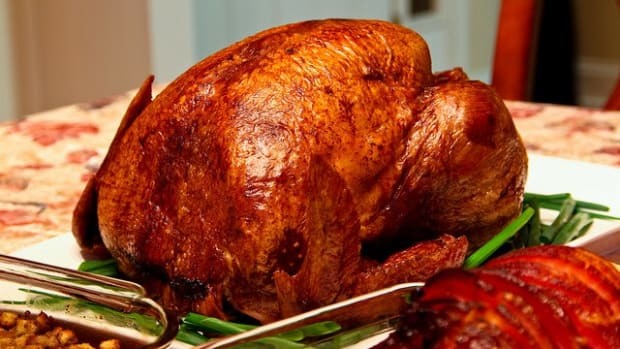 Is there any water or other moisture added to your turkeys? Many conventional turkeys are pumped full of extra liquid once they are processed. “Conventional birds are allowed to have up to 30 percent water pumped for &apos;moisture&apos; reasons,” notes Norton. Most small turkey farmers sell the turkey as-is, meaning that even though the turkey may be lighter than a conventional bird, you get more meat (and more flavor). What breeds do you raise? 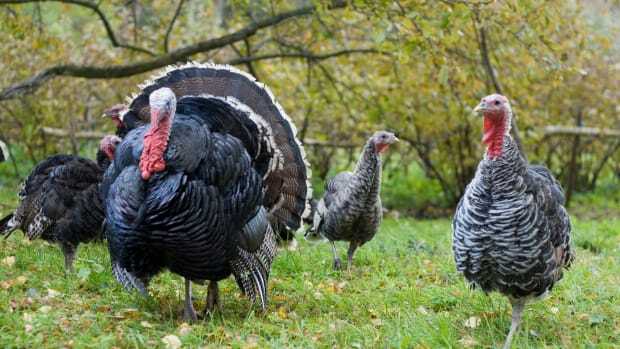 While many small farmers raise the same breeds of turkey you find in the grocery store, heritage or heirloom breeds are an interesting route to go for a distinct, richer, gamier flavor. These slower-growing turkeys have more dark meat than most conventional turkeys, which have been bred to have larger breasts and more white meat. 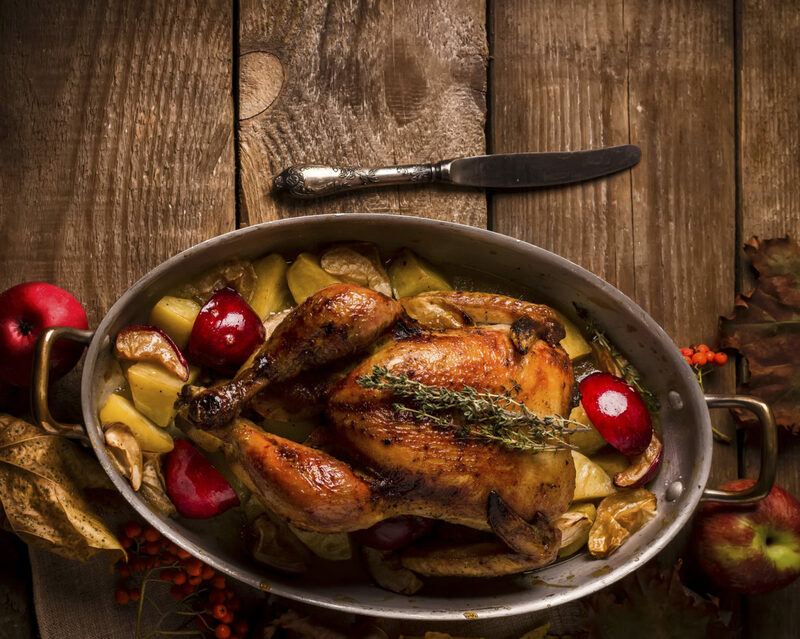 “Because the heritage turkeys have a better balance between the dark meat and white meat, roasting a bird to perfection is easier, and the meat has a richer flavor,” says Stone. How should I cook your turkey? 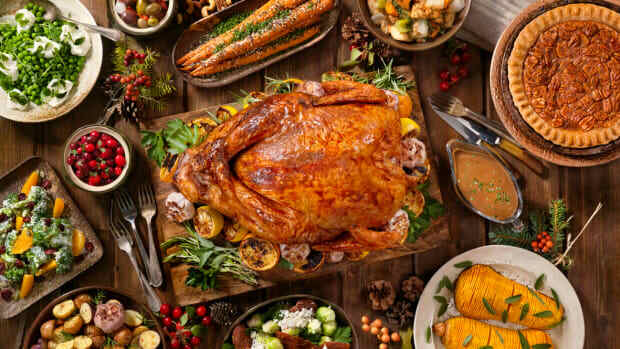 This is an important question to ask to get the best flavor out of the bird that you’ve chosen, and the answer will vary depending on the breed and the methods in which the turkey has been raised. 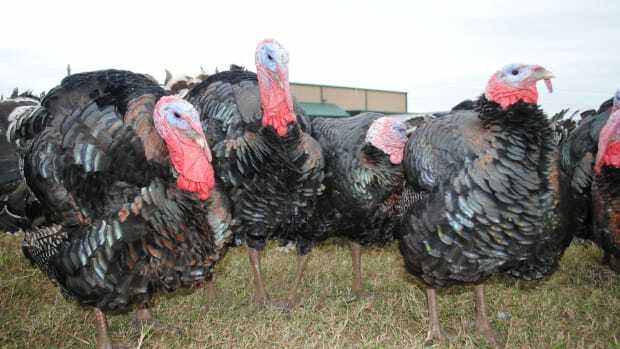 Some farmers note that their birds can be cooked just like a conventional turkey, while other farmers note that their birds cook quite a bit more quickly. Still others will have techniques for ensuring that the breast doesn&apos;t dry out, from tenting it with foil for part of the cooking process to breaking down the turkey before you roast it. At any rate, the farmer is your best resource to ensure that your turkey comes out perfectly.